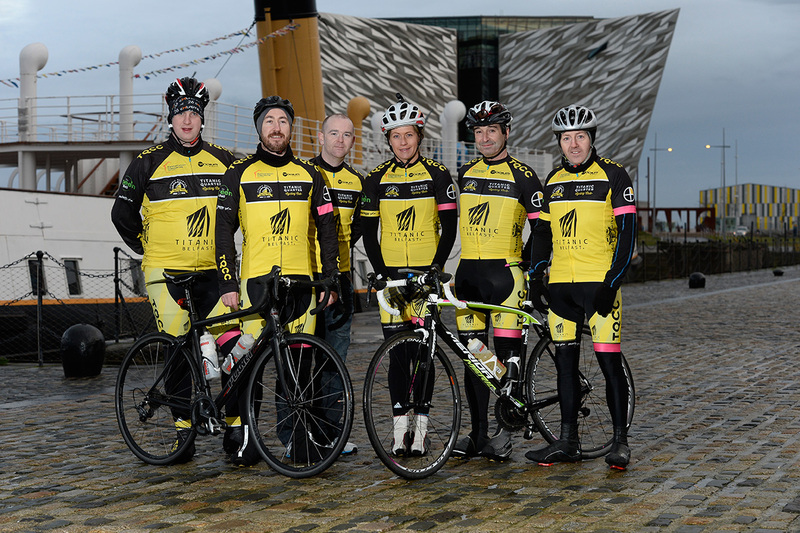 A conversation at the media launch of the Giro d’Italia’s Big Start in Belfast, 2013, brought Alex McGreevy and Phil Corr’s common interest together, and from it, Titanic Quarter Cycling Club was born. Alex had already drawn up a proposal for a cycling club based in the locality where RMS Titanic, the world’s most famous ship, was constructed. Using the positive momentum of the Giro to spur on their efforts, Phil and Alex were joined by enthusiasts James Loughrey, Colin O’Carroll, Julie Beckett, Andrew Davies and Maeve Curran, with each taking on roles to make TQCC a reality in November 2014. The initial concept for our club kit was further developed by the new committee, and sponsors were sought to support the mobilisation of the club. The aims and objectives of the club were simple – to promote Titanic Quarter as a shared space for cycling, to embrace the social, leisure and competitive camaraderie of cycling. Before we celebrated our first birthday in November 2015, TQCC won two significant honours, firstly being named as the signature club of the 2015 Gran Fondo in Belfast, and secondly, winning the Team title in the Strangford Route of that year’s inaugural Gran Fondo. We also hosted the Street Velodrome in Titanic Quarter at the 2015 Gran Fondo and a first-ever Criterium around the world-class Titanic Belfast visitor attraction. In 2016, TQCC once again lifted the Team Title in the Strangford Route of the Gran Fondo.